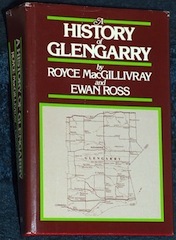 published by Mika Publishing Company, Belleville, Ontario 1979, ISBN 0-919303-32-3, illustrated, 709 pages, with maps on inside of front & back cover, jacket in fine condition except at corners which shows wear. This could be of a 2nd printing. If you are interested in obtaining this title, contact me with the price you are willing to pay + shipping. This will be on a one to one basis, and not necessarily sold to the 1st person & price to respond. We accept Credit Card orders 24/7 via the secure Pay Pal, the #1 online payment service!.